Choosing a wedding theme is probably one of the trickiest parts of wedding planning. Whatever your choice is will have a huge effect on your other decisions as you go on with the process. This is why we recommend that you think about it carefully and consider your personality and other preferences to ensure that you will end up with a theme that reflects who you really are as individuals and as a couple. This theme’s color scheme is reminiscent of the sky, complete with the bright stars that are said to define our destinies. 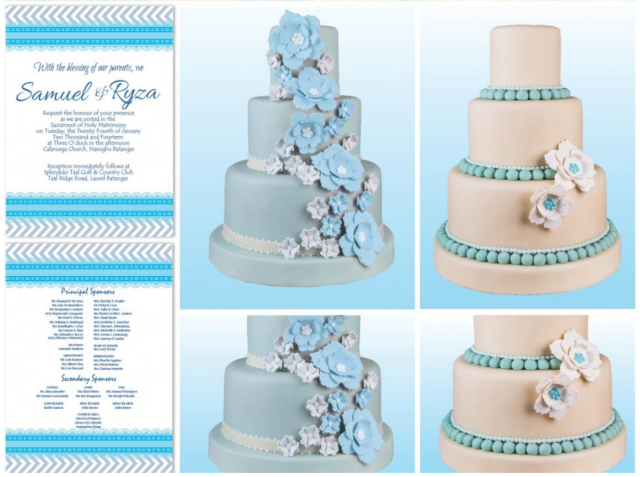 It is perfect for lovers who are in love with different shades of blue, as well as simple details. 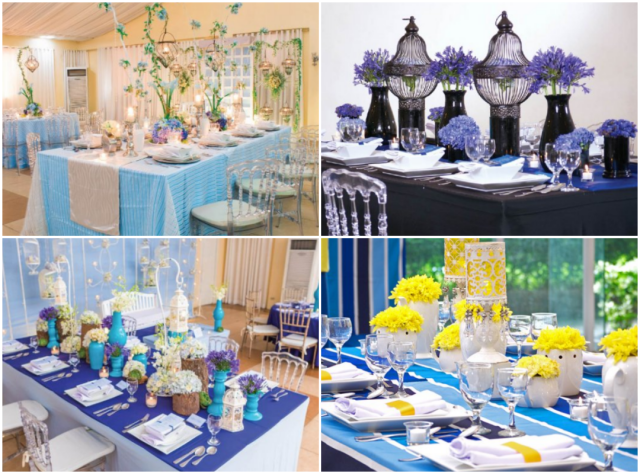 Transform your venue into a cozy banquet hall with this theme that plays with the colors blue and white. It is also magical that it reminds us of some fairy tales we loved as kids. 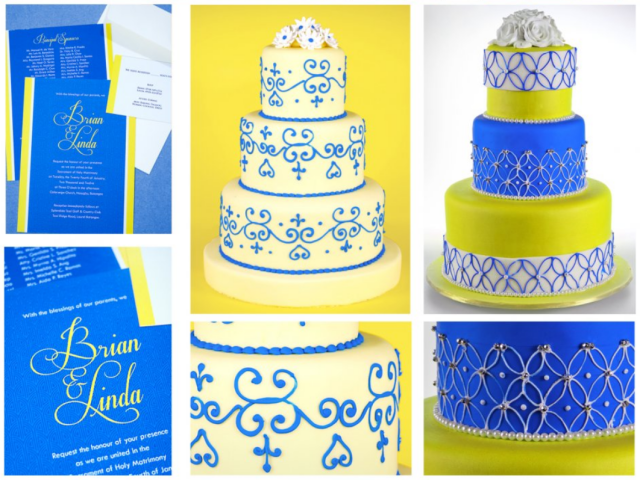 If you love the calming effect of blue and the energy brought by the color yellow, this one’s for you. It is also ideal for couples who are fond of striking hues and solid patterns. Do you like it bold and striking? “Gothic: Black & Sapphire” is perfect for you. It cleverly combines black, blue, and some purple which, together, create a fierce and elegant look. 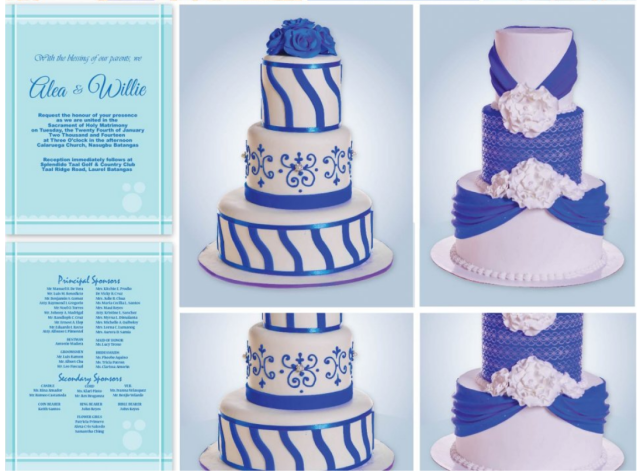 These themes just prove that when it comes to weddings, there are lots of things that can be done with the color blue. It can be combined with many other colors and can be used in various themes. 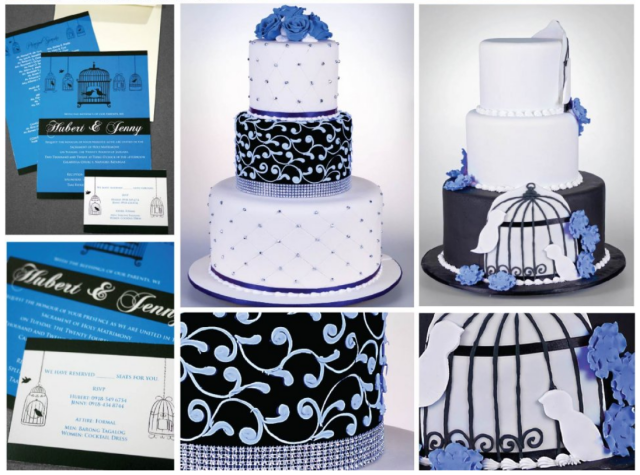 We hope we have inspired you as you choose your theme for your upcoming wedding. Good luck! Would You Believe that this is a Cake?